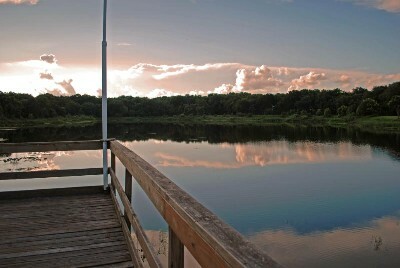 Picture #2 is our new dock at Big Lake Cohen to sit awhile or fish. Large fish and turtles are seen regularly from the dock. Small boats are welcome on the lake. Pictures courtesy of resident, Jim Kochanowski 7/20/2009.